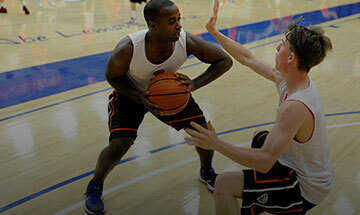 Here are five ways to practice your mental toughness off the court. If you practice these five things, every day, you’ll develop greater self-discipline. You’ll become unstoppable in anything you do. It is five things you will have to rise above your feelings every day. That is how you build mental toughness. You develop, as a habit, a muscle of rising above your feelings to level of your aspirations and commitments. Don’t hit the snooze. Don’t tell yourself ten more minutes. That is called giving into your feelings. If you give in to your feelings, you’ll never be special at anything. You can acknowledge your feelings but then you rise above it and get up early. Make your bed as a habit because it is the last thing you feel like doing in the morning. So practice doing it with precision. This will start your day off with a win and setting your mind to be someone who is organized, disciplined and precise. Set yourself up for success. If you’re doing things later on the in day, getting to work may be something as simple as 30 push ups. Just do something you don’t feel like doing. Your body is feeling tired, you’re not really awake but do something that gets your body moving. When your school day gets done, study first. This build mental toughness because you won’t feel like it. If you want to build mental toughness on the court you must do things that are difficult until it becomes easy. Everything is hard until it becomes easy but once you learn to develop it as a habit, you learn to rise above your feelings. I never liked mushrooms. Then I realized, I’m not going to let mushrooms get the better of me. I’m not going to have mental toughness up until the point of mushrooms so I’m going to find a way to like mushrooms. I would sneak it onto pizza or something and then along the way, my taste buds changed and I started to like mushrooms. I didn’t do it because I liked it. I did it because I didn’t like it and I was developing mental toughness. I was training myself to be unstoppable.